The Sherwood Forest is haunted, or so the story goes. Even the bravest of men are not fearless when the sun sets here. This is the fictitious tale of a cursed Robin Hood who has sold his soul to a witch to stay alive. But death never sleeps and soon Robin dies in a battle. When Marian and Little John try to bring Robin and his Merry Men back to life by using the witch‘s potions that unfortunately turn the dead to the living dead. With the use of the potions that Marian took from the witch’s cave her and Little John are forced to fight for their lives against their former friends and the accuracy of Robin’s bow. 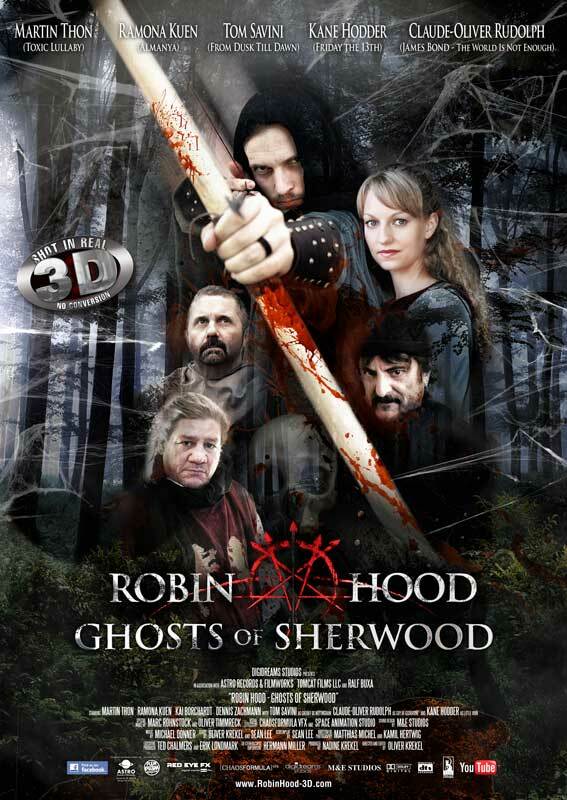 The pair is able to fight their way out of Sherwood Forest, and find that what’s left of the Zombie Robin Hood and his remaining Zombie Merry Men cannot leave the forest. Marian and Little John, decide they will scour the Earth to see if they can find a potion to save their friends, but until then will leave their friends where they are as the’Ghosts of Sherwood’.